Our range of products include chain coupling, jaw coupling and universal joint coupling. 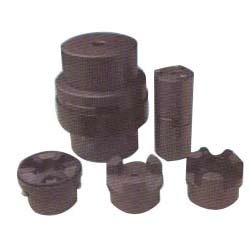 Designed in compliance with the requirements of our esteem clients, we offer a wide assortment of Jaw Couplings. Engineered from optimum quality raw material, our range of jaw couplings caters to the diverse industrial application across the globe. Offered in compact design, the general purpose jaw Couplings with spicier 'snap wrap' cushion type is inserted in standard and spacer type. We offer an impeccable range of Universal Joint Couplings, with the aid of our cutting edge technology. 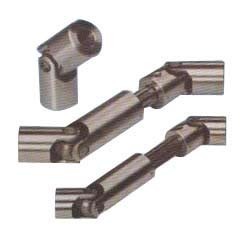 Prepared from alloy steel with heat treated working parts, our range of universal joint couplings is available with or without finish bore as per customer requirement. Our couplings are appreciated for durability, high tolerance and corrosion resistance. Looking for Chain Couplings ?